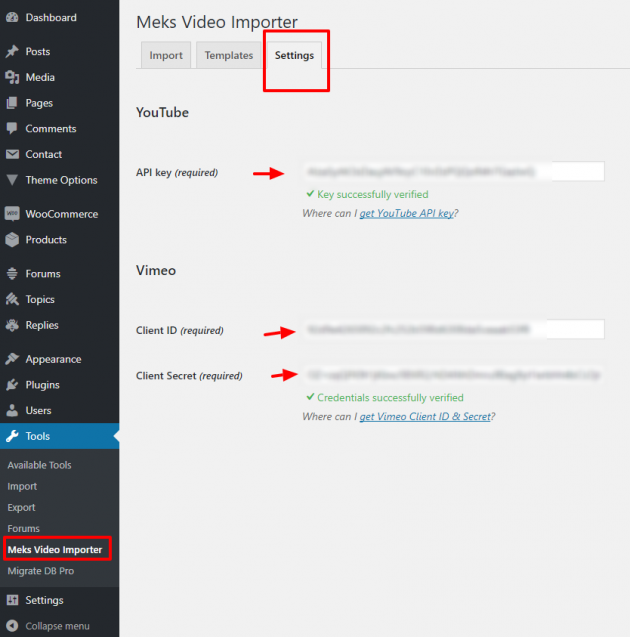 Meks Video Importer was originally created as a feature for our Vlog WordPress theme but now it can be used on any WordPress website. 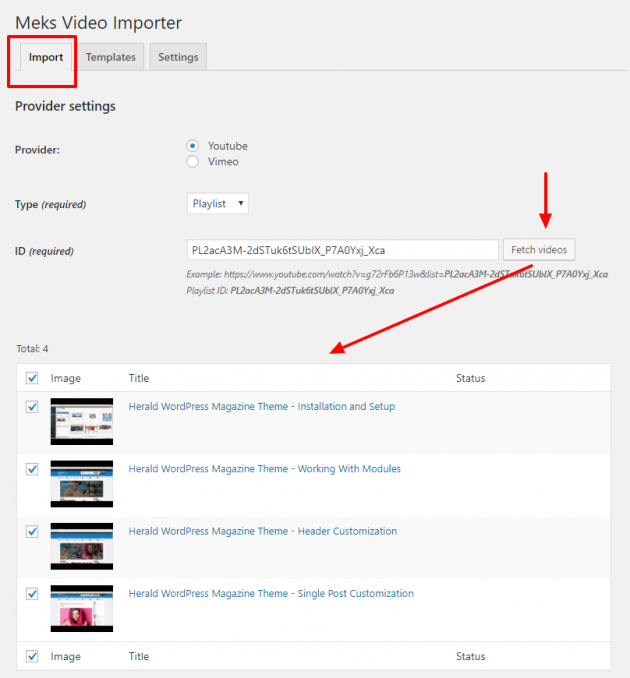 With Meks Video Importer WordPress plugin you can easily import YoutTube or Vimeo videos in bulk to your posts, pages or any custom post type registered on your website. 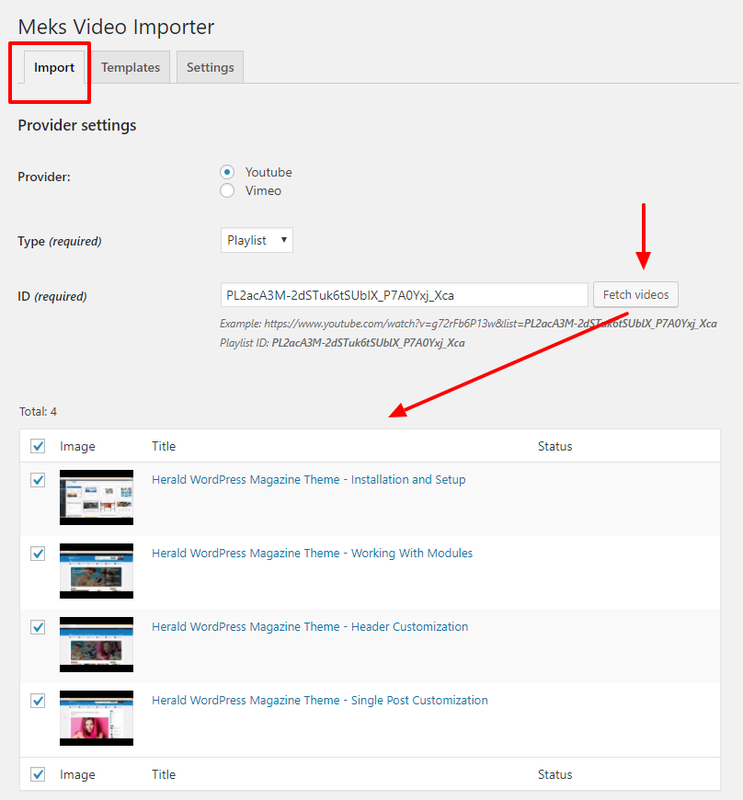 The plugin is highly configurable and provides you with various options for fetching videos. Whether you want to pull videos from a channel, a playlist, or a specific user and even search query, we got you covered. There are several smart options related to the import process itself. 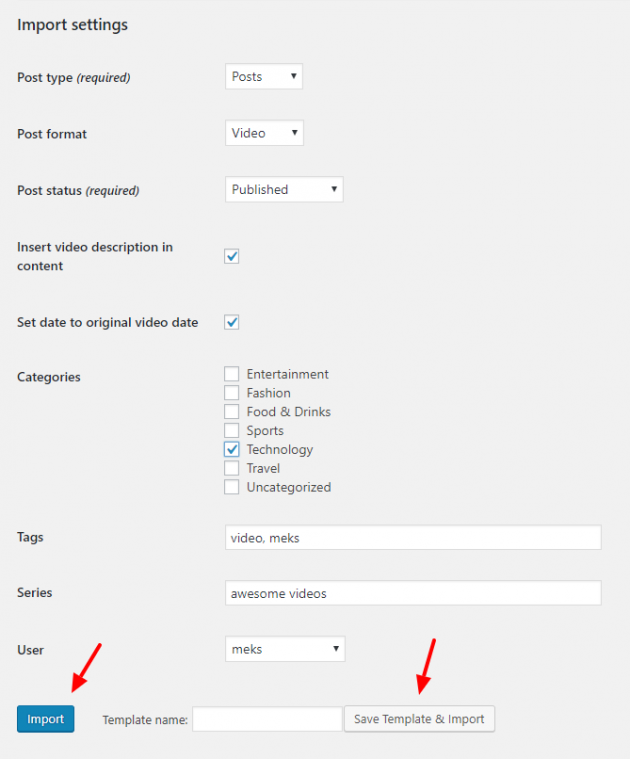 Choose a post type, post status, automatically add video description into post content, assign categories, tags or any custom taxonomies while importing the videos. 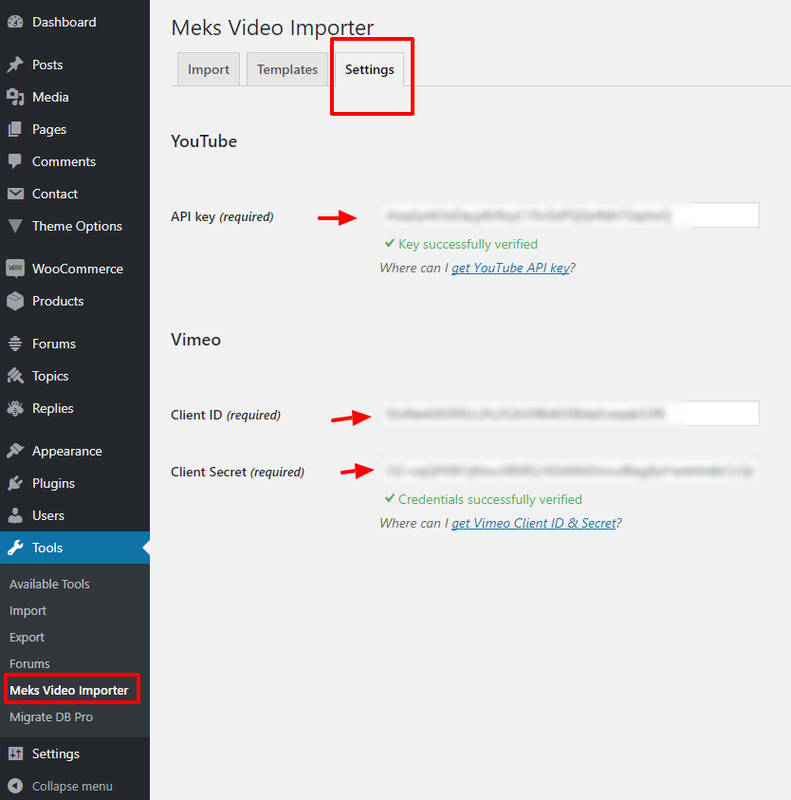 Once you install and activate Meks Video Importer WordPress plugin, go to Settings screen to add YouTube API key and/or Vimeo Client ID and Secret in order to use the plugin. After you successfully verified YouTube or Vimeo keys, go to import tab to import your videos. Manage the settings based on which provider and query you would like to fetch your videos and click Fetch videos button to search for available videos. 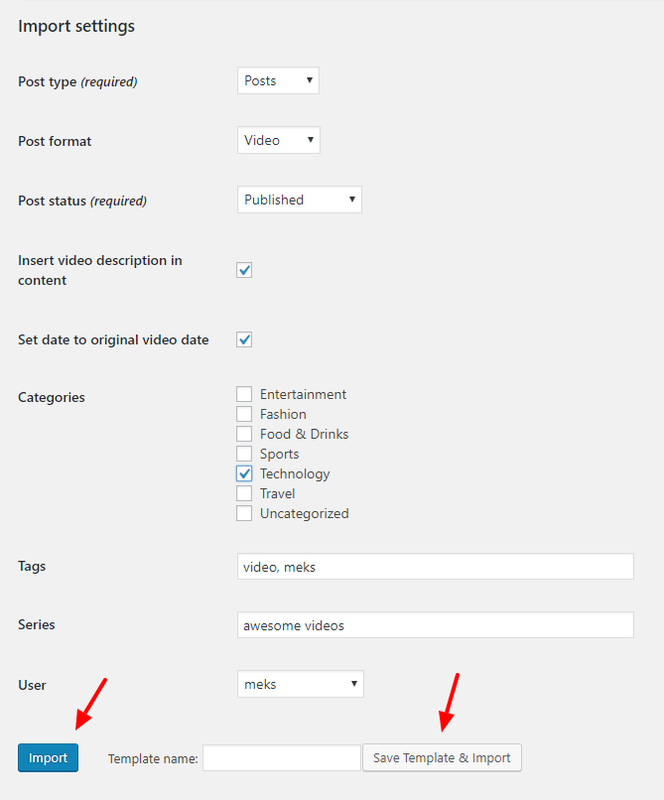 Next step is to select the videos you would like to import and scroll down to manage Import settings as shown in the image below. Finally, just hit the import button and wait a couple of moments. That’s it! Additionally, you may want to save your import as a Template and import new videos from the same source and settings later with a single click.